Flasks should always be a little unique, and so it is with this one. 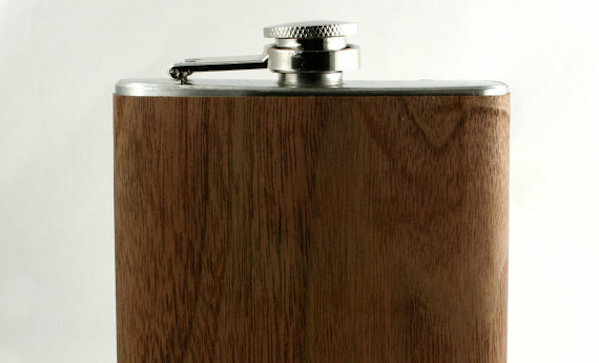 This wood flask ($25) is sealed with shellac, holds six ounces, and the top and bottle are metal. It comes in maple, cherry, and walnut. If you’d like, you can have yours monogramed or inscribed.